You probably already know by now that a custom Android ROM can change your user experience and give you what feels like a new OS on your device, and there's no shortage of them out there to try out. A great perk of being a Nexus 5 owner is that devs tend to commit resources to Nexus devices first, meaning we have the ability to try out fun stuff like experimental new ROMs before other people do. Thanks to MultiROM Manager, we can safely try new ROMs that might still be a little rough around the edges, like Firefox OS, while keeping our current stable builds—and even switch back and forth between them. Here's how to do just that and try the new Firefox OS, which we'll explore in detail for you. Working with custom ROMs means you have to be rooted. A quick download is all you need to do it on your Nexus 5 smartphone. Check out our full rooting guide for the rundown. You also have to install a custom recovery, which is quick and easy. This is an essential step, not only to install Firefox OS, but to restore your backup if you want to go back to your original set up. 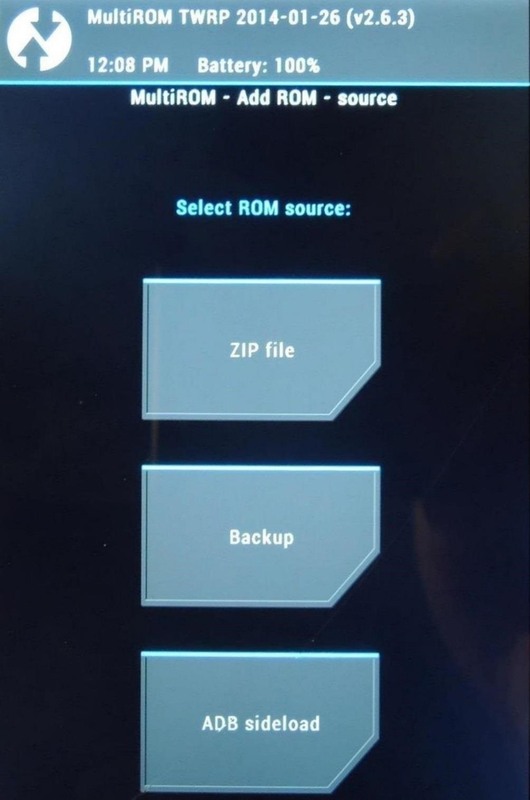 Finally, you have to have MultiROM Manager installed, which will do all of the ROM switching. Check out our full multi-booting guide on that as well if you don't have it installed yet. 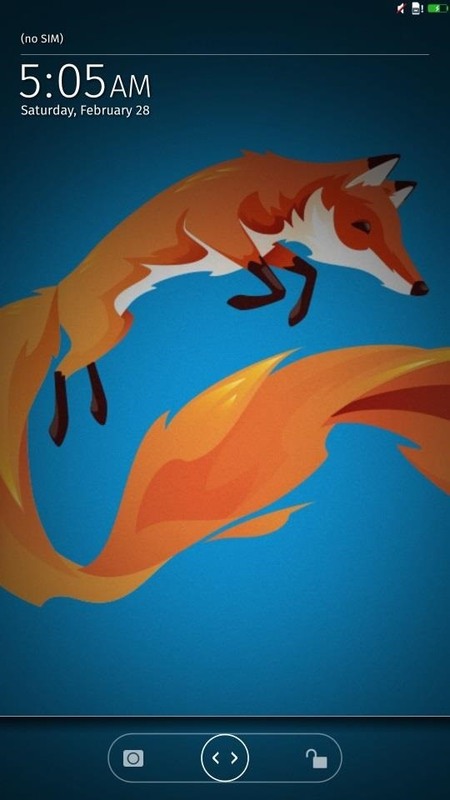 Direct your phone's browser to this link to begin download of the Firefox OS zip file. If you don't want to sign up through the mobile site, download the file to your computer and transfer it over. 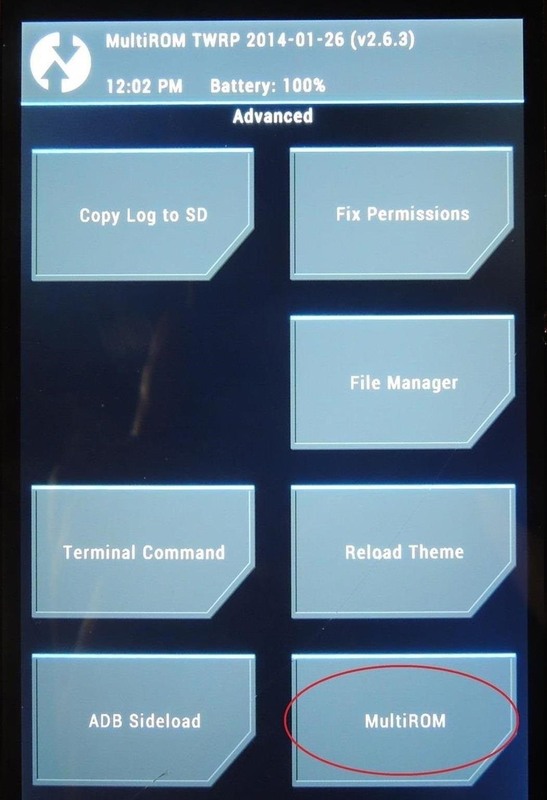 Once you've got the Firefox OS .zip file on your device, reboot your phone into Recovery mode. 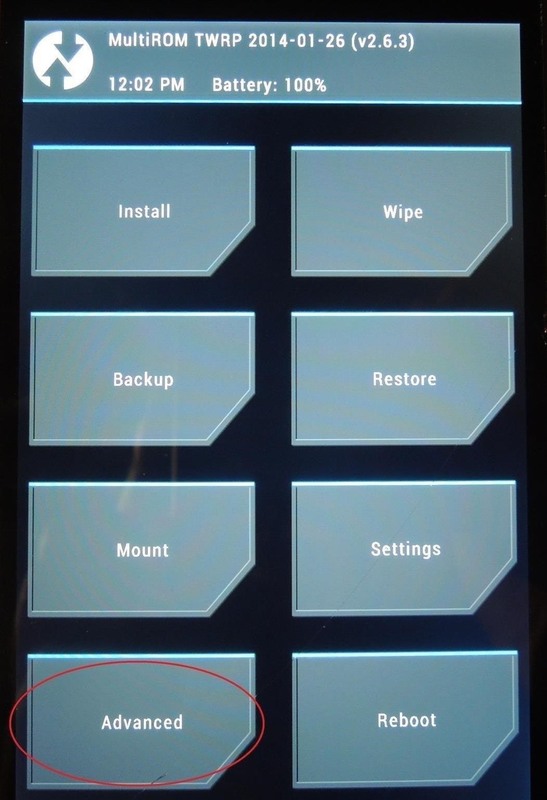 To do this, power down your Nexus completely. Then, hold in the Volume down and Power buttons to boot into your bootloader. Next, use the Volume keys to select Recovery mode and the Power key to make the selection. 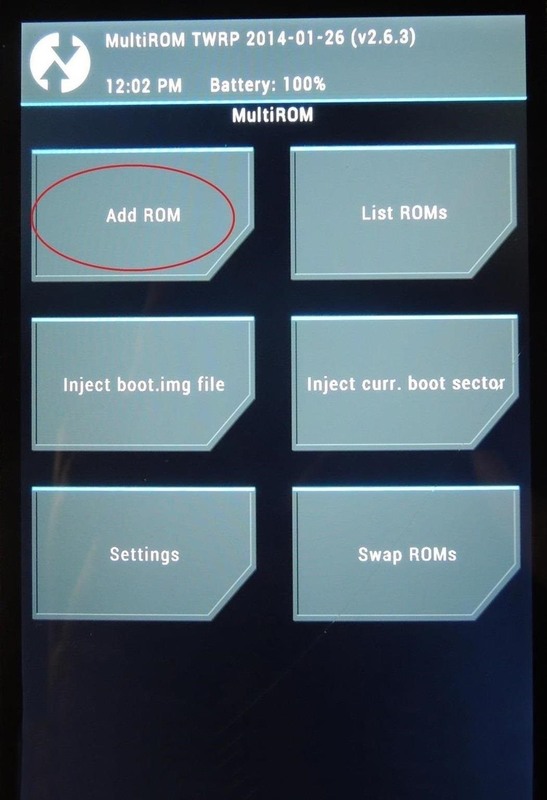 While in Recovery, go to Advanced -> MultiROM -> Add ROM. Select Android for ROM type, then Don't Share so we can boot Firefox separately and switch back and forth if need be. 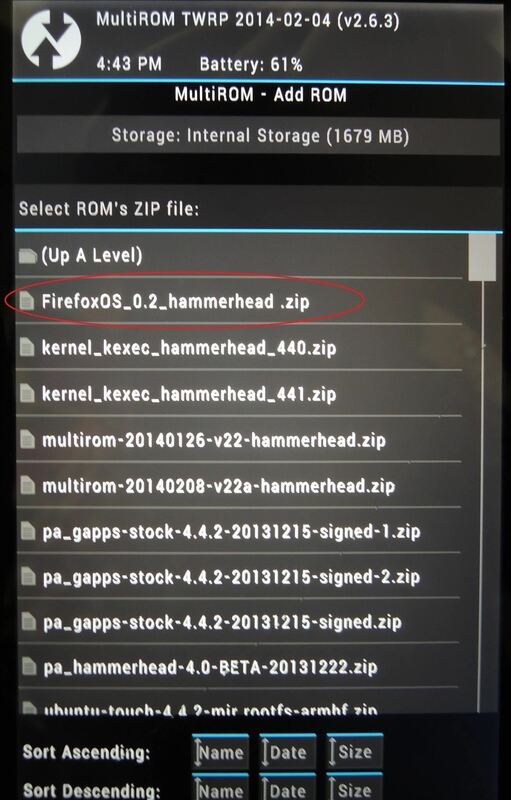 Tap Next, select ZIP file, and navigate to your Downloads folder, then locate and tap the file for FirefoxOS. 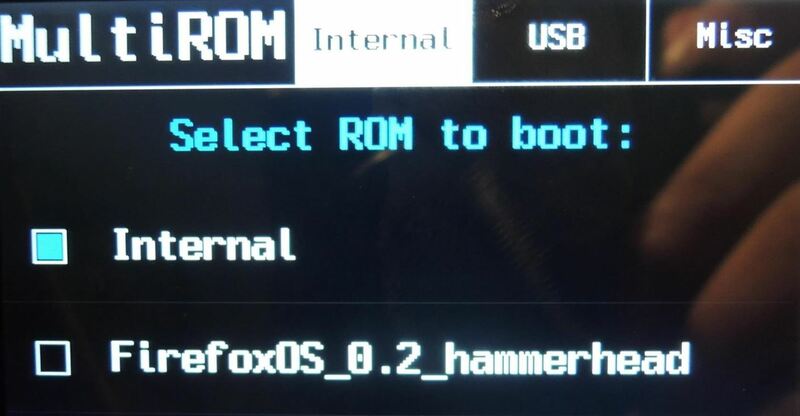 Swipe the arrow across to flash the Firefox OS and add it to MultiROM, and ultimately to your boot menu. The file name you see above is different from the one you downloaded above. No reason for alarm, this is because the ROM was updated recently, and you're using the latest build. Now, back out of recovery and reboot your Nexus as normal. When your device turns back on, tap the screen as soon as you see MultiROM load. 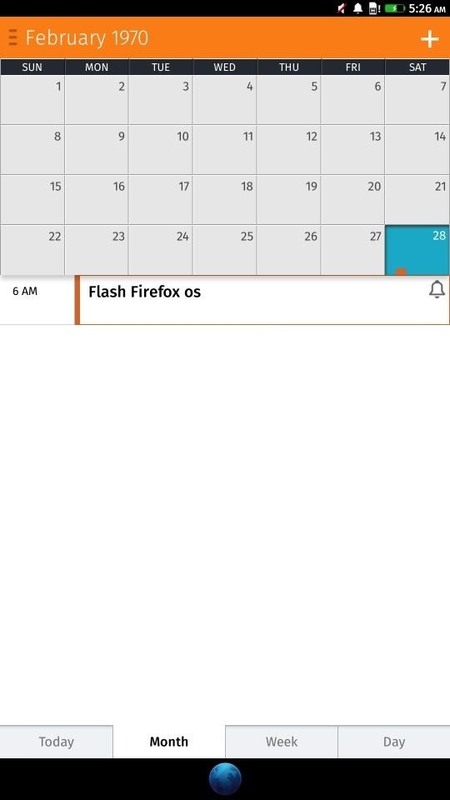 You should now be able to select FirefoxOS as a boot option. Tap it, then tap boot to load it up. You can switch back and forth between Firefox, the ROM you were previously using, or any ROM you add to MultiROM from this menu at anytime. After navigating a few setup menus and a brief tutorial, you'll notice things look a bit different. This is technically a different OS, but it's still got Android at its core, so you shouldn't be that far out of your element. Let's take a look around. Basically, while using this ROM, your Nexus 5 is now a device that can't make or receive phone calls, texts, connect to the internet, or take pictures. All in all, there's not a whole lot you can do right now; the key words being right now. Remember, this build is barely a month old—that stuff will come. When it does, we'll take pride in the fact that we were already using Firefox OS and comfortable with it. In the meantime, we'll toy around with it for no greater reason than the fact that we can. 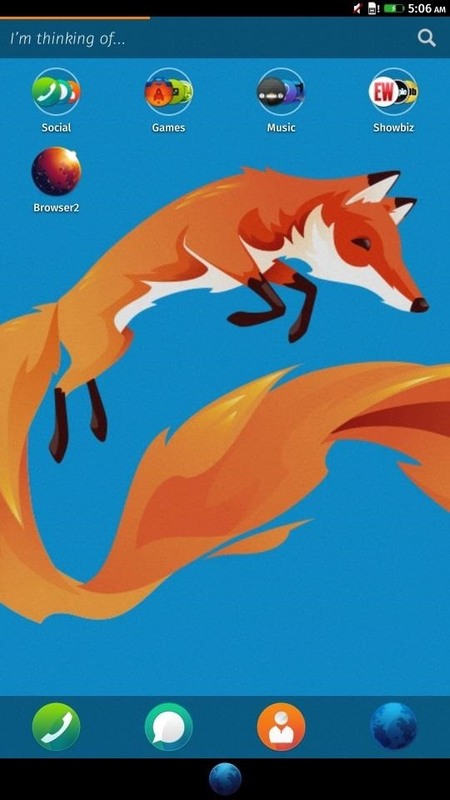 By default, Firefox OS has a lock screen enabled. Swipe the slider at the bottom to the left to unlock, a fairly standard mechanic that looks a little different. You'll find that to be the case across much of the OS. 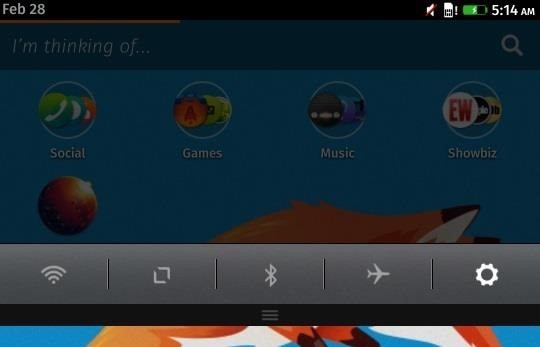 Firefox OS has three home screens to start with, the main home screen living furthest to the left. There's an orange bar at the top of the screen that helps spatially represent which screen you're on. Long-press an app icon to move around apps or long-press empty screen space to change the wallpaper. There are no nav keys other than a blue globe at the bottom of the screen which functions as a home key. Tap it to return home or long-press it to open a task switcher to open recent apps with cards that scroll to the left and right. You can flick up to close an app. The presentation and process harkens back to an older Windows Phone or the previous version of HTC's Sense on the One X.
Notifications work just how you'd expect. 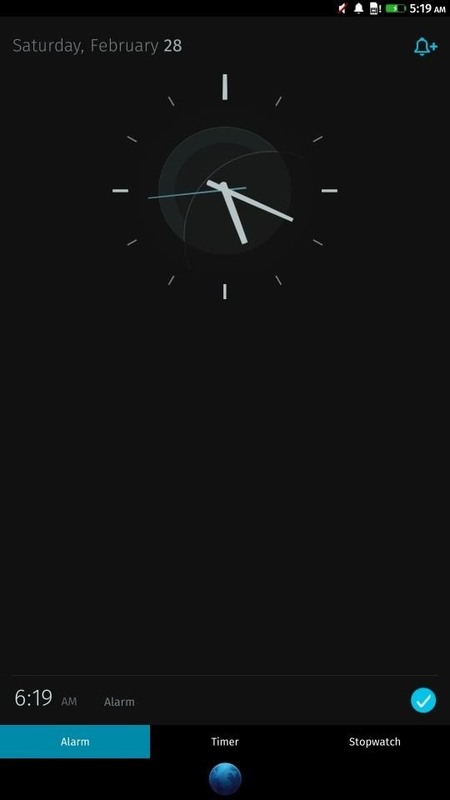 Pull down from the top to drag a notification shade. You can also access some quick settings toggles here in addition to an icon for the settings menu on the far right. At the top of the main home screen is a search bar with the words "I'm thinking of...". This bar seems to mirror the function of the Google Search bar. Type in keywords here to either launch apps or services, find contacts, or navigate to relevant data in the browser. There's not a whole lot you can do with this right now, but you can tell how dynamic and functional it is, or rather, will be. In fact, if you've tried out the Everything.me launcher, you'll notice some stark similarities. Well, there's a reason for that—Firefox has dedicated their OS to Everything.me's launcher base. The apps appear to function iOS style, in that there is no Android style app drawer. New apps will be placed on the home screen, and widgets also appear to be MIA. The few apps that you can toy around with are pretty functional, albeit bare bones. The clock, calendar, messenger and the like all get the job done. The one screen keyboard is nice and big, though it currently lacks auto-correct. This definitely isn't the speediest ROM, and touch response seems a bit finicky, as if you really have to flick with intent to move through home screens, but it is stable. With the exception of the features we already know not to work, Firefox OS never crashed on me, and that's really saying something for an early build. Meanwhile, apps open without much hesitation, and animations are in place to ensure we feel a sense of movement. It's difficult to judge a ROM that's clearly lacking so many features, but Firefox OS does paint a picture of potential. Its near iOS-style simplicity makes it endearing, and its fonts and presentation certainly give it a style of its own. Once features are added and the OS is tweaked to take advantage of the N5's powerful hardware, we might all find ourselves using Firefox more and more. With MultiROM in your arsenal, you can try out freshly cooked ROMs like Firefox, switch back when you're done, and never miss a beat. 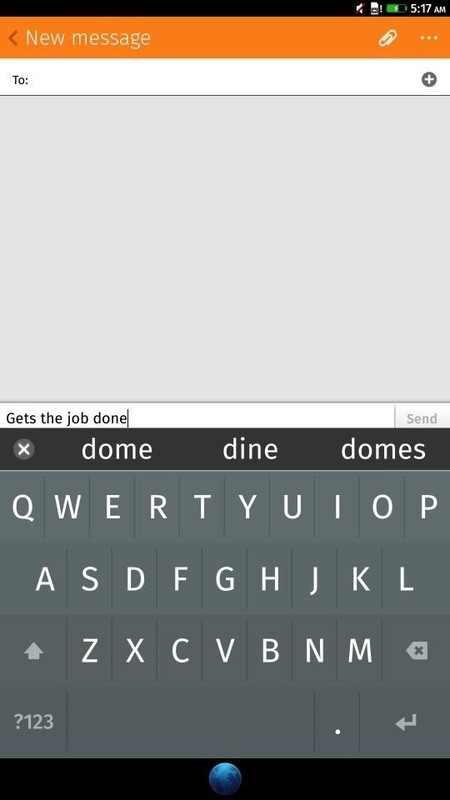 It's Android exploration at its best. and how to delete it after testing it? Just go back into recovery and restore your backup. Hi, I have followed the tutorial but it happens that on .zip extraction appears "Cannot confirm signature of the .zip file" .... did you know what will be the problem? ?